Belgium is a federal state in Western Europe and a founding member of the European Union. The country is renowned for its artistic contributions, including Renaissance, Gothic and Baroque architecture. Folklore plays a huge part in Belgium’s colourful image, with a variety of carnivals and festivals throughout the year. Belgian chocolate is one of the country’s most famous produces, boasting brands such as Guyilan which create delicious treats. Visit the country and you will be overwhelmed by its culture. Stay at the Premiere Classe Liege/Luik hotel as a great starting point for exploring the country. Liege is a City of art, having seen the birth of Georges Simenon one of the most memorable authors of the 20th century. With a variety of museums and other tourist attractions, Liege is set to be a holiday to remember. Whether seeking a relaxing break or a holiday filled with activities, there is something to suit everyone. Two days is just enough time to get a taste for what Belgium has to offer. Liege is great for a night, whether you fancy visiting a bar or a club. The city is known for its excellent nightlife and tourists can party all year round. Visit the market square for lively lounge terraces. On day two enjoy some sight-seeing and then indulge by visiting the vast array of shops. From designer labels to delicatessen shops, there is something to please everyone. If you are staying in the Premiere Classe Liege/Luik hotel for a week, make sure to visit the markets. Hunting for antiques is made fun in the city’s large amount of stalls. The La Batte market is the largest and oldest in Belgium and boasts a selection of fruit and vegetables alongside books and clothing. The best way to discover the city is on foot, so take a leisurely stroll and stumble across hidden treasures such as courtyards and beautiful gardens. A visit to Brussels is also a must. The city is packed with museums, shops, restaurants and cafés. Head to the Grand-Place which has beautiful 17th century architecture and is hub for both commercial and tourist activities. Belgium can be fun, no matter what your age! Visit the Liege aquarium and marvel at 2,500 creatures representing 250 different species. There are also almost 20,000 stuffed animals from every continent exhibited in the museum. The Grand Curtius Museum is great if you seek variety. Combining archaeology, decorative art, glass and religious art there is enough for everyone to admire without getting bored. It’s easy to visit Belgium from anywhere in the world. Travel to Liege airport, which was the 7th most important cargo airport in Europe in 2011. 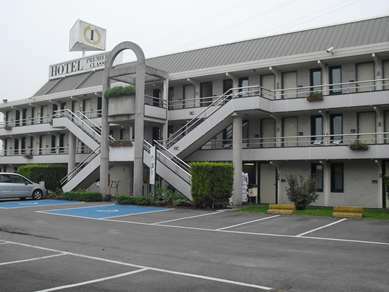 Stay in the Premiere Classe Liege/Luik hotel to be close to the airport. Trains from Liege provide efficient connections to Brussels and even France and Germany. Liege has something to please every palate. There are so many great places to eat in the city that the hardest thing is picking where to go! Make sure you try at least one of the traditional dishes: boulets-frites (meatballs and chips/fries), salade liégeoise (green beans, potatoes, diced bacon), or fricassee (omelette with bacon or sausage). If you find yourself in Brussels, you will have over 2000 restaurants to choose from! These serve anything from traditional Belgian dishes to international cuisine. The Festival de Liege takes place every other year and is a celebration of the arts. Every year it attracts locals and tourists to join in with the celebrations and enjoy the many performers taking part. Expect unique and exciting performances from all over the world. Every autumn the Brussels Beer Weekend takes place at the Grand Place. There you will be able to find out why Belgians are so proud of their beer by sample many different varieties whilst listening to music. Belgium has always been a country to take the lead in moral matters. In 2002 it became the second country to legalise euthanasia in certain circumstances, where doctors can assist patients in their right to die. Marriages for gay and lesbian couples were introduced by Belgium in 2003 and civil ceremonies are recognised in the country in exactly the same way they are for heterosexual couples.